Nylon braided lightning cable / Android Type-C cable for DJI Spark and Mavic Pro drone. Fits cellphone and tablets with lightning or Android Type-C sockets. 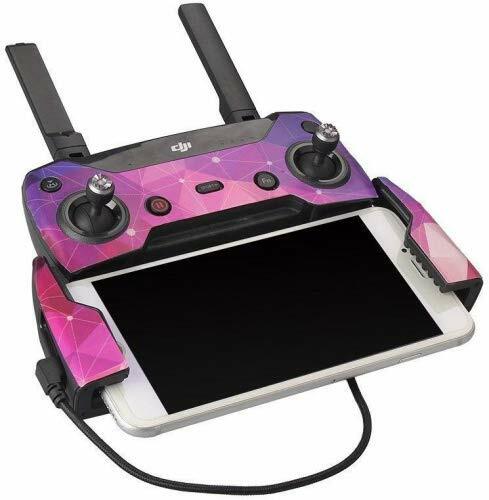 Compatible for DJI Spark and Mavic Pro drone's remote contoller. [Note: if it shows "accessory not compatible", Please Disable your phone wifi, connect the cable and go into the DJIGO4 app and you will be connected to the RC successfully] Cable length: 11.4 inch (29 cm), Netweight: approx. 10g, Color: black / white 6-month warranty, FREE NEW CABLE if product not working or damaged during warranty period.